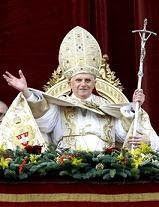 Dominica VII post Pentecosten: "Beware of false prophets"
Benediction. May the Gospel's glorious word Cleansing to our souls afford. Amen. At that time, Jesus said unto His disciples: Beware of false prophets, which come to you in sheep's clothing, but inwardly they are ravening wolves. And so on. Homily by St. Hilary, Bishop of Poitiers. Comment. on Matth. ch. vi. The Lord here warneth us that we must rate the worth of soft words and seeming meekness, by the fruits which they that manifest such things bring forth in their works, and that we should look, in order to see what a man is, not at his professions, but at his deeds. For there are many in whom sheep's clothing is but a mask to hide wolfish ravening. But "Do men gather grapes of thorns, or figs of thistles? Even so, every good tree bringeth forth good fruit, but a corrupt tree bringeth forth evil fruit." Thus, the Lord teacheth us, is it with men also evil men bring not forth good fruits, and hereby are we to know them. Lip-service alone winneth not the kingdom of heaven, nor is every one that saith unto Christ: "Lord, Lord," an heir thereof. Sermon for Dominica V post Pentecosten: "unless your righteousness exceeds that of of the scribes and Pharisees"
At that time, Jesus said unto His disciples: Unless your righteousness shall exceed the righteousness of the Scribes and Pharisees, ye shall in no case enter into the kingdom of heaven. And so on. Bk. i. on the Lord's Sermon on the Mount, ch. 9. Thou shalt not kill, is of the righteousness of the Pharisees; Thou shalt not be angry with thy brother without a cause, is of the righteousness of them which shall enter into the kingdom of heaven. The least therefore is: “Thou shalt not kill, and whosoever shall break this commandment, he shall be called the least in the kingdom of heaven.” v. 19.But whosoever shall do it, and not kill, he is not therefore great, and meet for the kingdom of heaven; albeit, he hath risen a step; but he will have gotten farther, if he be not angry with his brother without a cause, which, if he do, he will be the farther off from manslaughter. Wherefore, He Which teacheth us that we are not to be angry without a cause, destroyeth not the law, Thou shalt not kill, but rather fulfilleth and increaseth it, making us not only to be free of the sin of outward killing, but also clean of anger within. At that time: As the people pressed upon Jesus, to hear the word of God, He stood by the lake of Gennesareth. And so on. Bk. iv. on Luke v.
When the Lord wrought so many works of healing, neither time nor place could restrain the people from seeking health. Evening came, and they still followed Him He went down to the lake, and they still pressed upon Him and therefore He entered into Peter's ship. This is that ship, which spiritually up to this very hour, according to the expression of Matthew, is buffeted by tempests, but still, according to Luke, is filled with fishes, this signifying, that, for a while, to labour is present to the Church, but, hereafter, it shall be to rejoice. The fishes are they which swim in the troublous waters of human life. In this ship also spiritually doth Christ, for His disciples, still sleep, and still command; for He sleepeth for the lukewarm, and watcheth for the perfect. Every vocation is discipleship. All men and women are called to “follow after” Christ the Lord. Married or single, ordained or lay, every human person finds ultimate fulfillment in answering Jesus’ call to “take up the cross” which brings life out of death and to “lose life” that it may be found in all its fullness. Of all the vocations it is the ordained priesthood which is most closely configured to the Lord, making men “other Christs”. The grace of the priesthood by which men give the Lord’s Body and Blood to His people and forgive their sins in Confession make the priest particular and close co-workers with Him in God’s plan of salvation. Through the charism of celibacy priesthood is a “higher calling” because it most closely anticipates in this world the life of heaven where there is “no marrying nor giving in marriage”. What higher joy could there be for a Catholic husband and wife to support the call of a son of theirs to the priesthood? And yet, with all the Catholics that say they love the Mass and love the Eucharist, there yet remain few who see with clarity that their love for the Lord must also extend to practical support for priestly vocations, beginning in their own families and with their own children. Our Holy Father Benedict recently said, in regard to the diminished numbers of priestly vocations today: “Today’s parents have other plans for their sons and daughters. The primary consideration, therefore, is: Are there any believers, and only after that - will they produce priests?” Pope John Paul II before him addressed the blessing of large families, and the fact that if a husband and wife have more than one child they are more likely to welcome a vocation to the priesthood or religious life if our Lord should so call one of their children. It is a wonderful thing to see one's family continue to the next generation, and one of the greatest joys of earthly life. The supernatural life, however, is what every child must have to reach the fullness of life forever in God, and the priesthood, and all religious vocations, exist to serve this need for all of mankind. Spiritual fatherhood and motherhood, the vocation of priests, sisters and brothers, is not an optional part of Christ's plan, but a constitutive part of the Church. "For though you have countless guides in Christ, you do not have many fathers. For I became your father in Christ Jesus through the gospel." (1 Cor. 4:15) St. Paul thus proudly asserts his ministerial priesthood of bringing the faithful to birth in Christ. In the rampant practical materialism of our time, the priority of the spiritual is easily overlooked. Mothers and fathers who learn to love their children with the love of God will give the spiritual life of their children the emphasis it deserves. “Whoever loves son or daughter more than me is not worthy of me.” To love Christ more than son or daughter is to love the will of Christ for one’s child more than one’s own plans for that child. "He who seeks only himself brings himself to ruin, whereas he who brings himself to naught for me discovers who he is." The Catechism of the Catholic Church, paragraph 2232, teaches: "Family ties are important but not absolute. Just as the child grows to maturity and human and spiritual autonomy, so his unique vocation which comes from God asserts itself more clearly and forcefully. Parents should respect this call and encourage their children to follow it. They must be convinced that the first vocation of the Christian is to follow Jesus: 'He who loves father or mother more than me is not worthy of me; and he who loves son or daughter more than me is not worthy of me.'" Parents who "bear their share of the hardship which the Gospel entails," and put their own desires and needs second to the will of God, such that they encourage their sons and daughters to be open to the higher calling of the priesthood and religious life, come first in the reign of God. What else is necessary or more wonderful?